Jeff Wasserman brings Life Coaching to the people. The 2012 Life Coach Road Trip is underway, Jeff will be in Los Angeles on January 3rd. Life Coach College has announced the 2012 Coaching classes and the new Life Coach Training Program designed for busy professionals. The new course will be offered starting March 1st and the cost is only $895. Students will received more than 60 hours of coach specific training, coaching labs and mentoring. Students will be able to apply for certification upon completion. For more information visit Life Coach College. 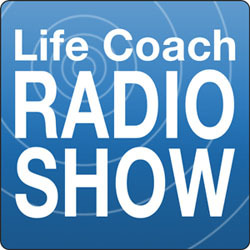 Life Coach Radio Show hosted by Jeff Wasserman is the newest self-help radio show. Available on ITunes and LifeCoachRadio.com. Jeff takes calls from listeners and shares his ideas, believes and theories with his guests. If you want to learn what Life Coaching is really all about, listen to Jeff's radio program, Life Coach Radio Show. Jeff broadcasts live from the Life Coach Bus along the route of the 2012 Life Coach Road Trip.